After nearly a decade of serving the community, Hillsborough County K9 Deputy Sheriff, Deuce, turned in his badge to begin his much-deserved retirement. K9 Deuce, a full-fledged law enforcement canine officer, is a 10-year-old German Shepherd, who has been a dedicated public servant for Hillsborough County for the past 8 years. 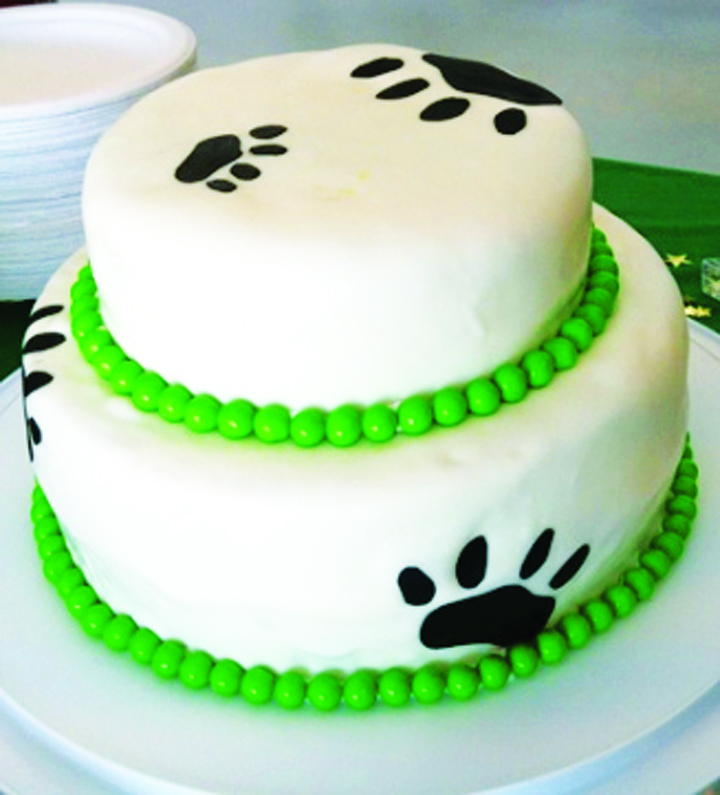 Teamed up with Hillsborough County Sheriff Deputy Charles Perdomo, Deuce has once again enjoyed the spotlight during a retirement party, complete with a paw-print decorated cake held last month at the Sheriff’s Aviation hanger at 5808 Wilkens Rd. in Tampa. The celebration of a long dedicated and successful service came at the conclusion of Deuce’s final shift as fellow deputies bid farewell to their college and faithful companion. Deuce was certified 8 years ago as a police K9 dog through the North American Police K9 Association and the Florida Department of Law Enforcement. “Deuce has arthritis so the Sheriff’s Office decided it was time for him to slow down and retire,” said Perdomo, a 19-year HCSO veteran, who has been with the department’s K-9 unit since 2009. Praising his partner for all that he has done for the community over the years, Perdomo said that during his distinguished career, Deuce was responsible for nearly 250 criminal apprehensions, as well as finding lost children and detecting numerous amounts of illegal narcotics. The Hillsborough County Sheriff’s Office K9 Unit is currently comprised of 22 dogs and 19 deputies or handlers, all of whom consider it a privilege to have been chosen. The numbers include seven German Shepherds, four Belgian Malinois, six German Shepherd and Belgian Malinois Mix, three Bloodhounds, one Labrador Retriever and one German Shorthaired Pointer. Deputies said that each dog has a specialty, such as bomb detection or fugitive apprehension, such as Bloodhounds, who are used primarily for tracking and missing person’s cases. A dog normally joins the Sheriff’s Office when it is between 1 and 3-years-old, and must complete 480 hours of training with its handler/deputy to be certified as a law enforcement canine. Once certified, the canine is given its own Sheriff’s Office personal identification number and badge and takes its rightful place among the ranks as a treasured part of the Sheriff’s Office and any law enforcement agency. Law enforcement canines are protected as it is a felony to injure or kill a police dog. As part of his retirement party, HCSO has introduced Deuce’s replacement and Perdomo’s new partner, K9 Smoke, a one-and-a-half year old “rookie” German Shepherd. HCSO officials said that Smoke began his training with his team last month. As for Deuce, retirement is actually a pretty sweet deal and a great reward for a lifetime of hard work as typically canines retire when they reach 7-8 years of age, at which time they become the deputy’s family pet. Deuce will live out the rest of his life pampered at home with Perdomo, who told reporters that he will miss working with Deuce, while he is looking forward to the challenge of training his new energetic rookie partner, Smoke, who obviously has some pretty big paws to fill. 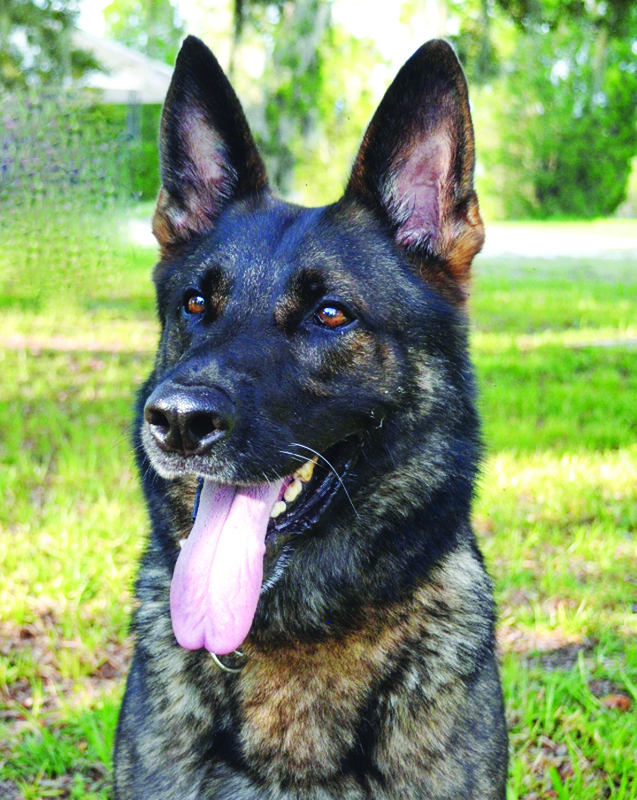 For more information about the HCSO’s K-9 Unit, visit www.hcso.tampa.fl.us.